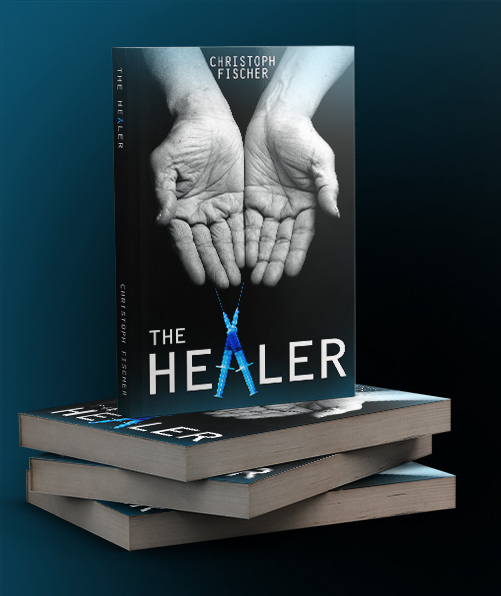 “I’m reading Christoph Fischer’s The Healer right now and it is really powerful. The writing itself is strong but the story – wow. It’s difficult for me to read given that I’m also going through chemotherapy and a host of other things and I’m finding moments where I need to just put it down and think. I’m barely a third through and already know that this is going to be one of those books that I always remember and think back on. I want to go online to read his other reviews but I’m too afraid to, not wanting to see the reactions of other readers that are going through similar feelings of fear and desperation like myself because, well… it hurts. Guys, I seriously cannot recommend this book enough … Once I’m finished with this book I’m going to be spamming it around my lame chronic illness groups like confetti. My God, Christoph, whatever you went through that brought you to write this in a way that so completely speaks to the desperation I feel and the values that change… I just don’t have words. I’m so sorry. Oh my god. There is a line in Christoph’s book where she lays back and accepts the pain, surrendering to it instead of fighting it, and just letting go- how it’s almost therapeutic to just let your disease wash over you and feel it for what it is for once. No denial, no pushing through. Just letting it loose and going along for the ride. I’ve done exactly that. The first time was in hospital, and I’ve learned to do it since, kind of recognising when you need to put the barriers down for a minute. Omg. I read that and started sobbing. AND IM ON THE FREAKING CENTRAL LINE at rush hour!!! FML. People are starting. I’ve been offered tissue and this is a really big deal because you’re not allowed make eye contact on public transport. Oh man. This book is going to be a freaking anthem in some of my groups. Yeesh. This has stopped me in my tracks yesterday. I hope the book isn’t causing any upset but I thank this woman from the bottom of my heart for her kind words, and thank you for listening! Congratulations Christoph. That’s an amazing read. I also salute the courage of the lady for reading it when she’s suffering herself. I admit I refused to read his book because Julia died of inoperable pancreatic cancer and though I perhaps had her longer than some I can’t bear to read anything that will approach her suffering.I will say though that what little I’ve read showed the subject was treated with care and I respect that. Thanks David. I, too, admire the lady for her bravery and appreciate that the book may not be an easy read for everyone. This feedback has been reassuring, though. 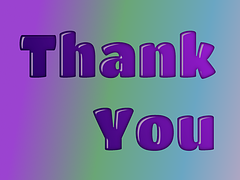 Thanks for always looking kindly on my blog and writing. Hugs! To be honest I’m in a bit of a shock. That part is really secondary to the story, so I’m chuffed the reader could relate to it so much. Pleased it was so positive. I can imagine the whirlwind of different feelings it caused you to read that. But when they’ve settled, I’m sure it feels wonderful to know that you’ve touched someone’s heart so deeply. You were clearly working on many levels at once, maybe without even knowing it. That in itself is a great accomplishment. Well done my friend. Mega-hugs. This is so wonderful, Christoph! To know that your words, your characters, your story have all made an everlasting impact on your readers is a spectacular achievement for a writer. Brava! Your words really moved these people. That’s the best any author can hope to achieve. Congratulations. You’re in the big time now! Christoph, I have been so impressed by your other books that I will, of course, have to read this one, too. You are inspiring. Aw thank you. Looking forward to showcasing your great books on here soon! When you melt into your soul, you are able to pour your emotions onto paper in only a way others with the same experience can understand. Its easy to say “I’m speechless”, its harder to search your mind for your soul’s words, and more rewarding. 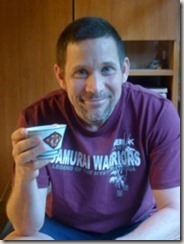 This is the type of author I’ve heard about in Christoph Fischer. Look him up. I cant wait to read it. It will most definitely be a book that speaks to my soul. I can sense it already. So well deserved for an awesome author.